Our cleaning agency has devoted its services to making our clients happy and content about their home’s cleanliness. Our office is located in South East London and offers professional oven cleaning services. Our cleaners pay attention to every detail and will make your oven spotless. We are your service whether you don’t have the time or the right detergents, or just don’t know how to properly do it just pick up your phone and call the best in town. This is a thing you will start to do regularly because it is the right thing to do for your home. Our cleaning agency in South East London offers the best oven cleaning services and we offer them at your convenience and also with the possibility of a monthly or an year subscription depending on your needs. 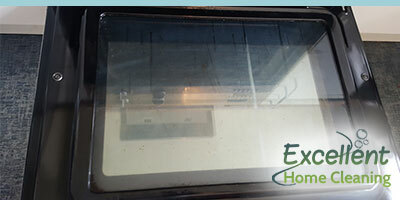 The cleaning of the oven is hard and stressful and so we offer you the result! Every person that tends to his home would love to have professionals properly clean every corner of the oven. We are the perfect solution for this situation because of our long years of experience, friendly attitude and perfectly done job. Don’t think twice and make the call that will save you a lot of hard work. The cleaning of the oven is a complicated and a hard job for a household to have on their hands. The oven itself carries a big load of responsibility for the family meals but leaves a huge mess afterwards. It is awful for just one person to do it and without the proper techniques and detergents and this is where our professional cleaners come to show you what years of experience can do. We know what look you get on your face when you open it and we know it is hard, so this is what we offer- the best professional cleaning services there are in South East London. Can you imagine how many meals you have cooked since you first bought your cooker? While the hot-plates are easier to clean, the oven is not the same case. It is in every ways harder to clean and we all know exactly how hard it can be. This is why our cleaning agency offers you professional oven cleaning services all over South East London. This is a thing that bothers many households and even irritates you, but now you have the best solution there is. We will save you time and much effort-no more hard scrubbing with minimum results! Maximum results and perfectly done job are on their way to your home and your oven.